Dinner plates typically are covered with the usual vegetable suspects, mostly coming from corn, squash and the nightshade family: potatoes, sweet and spicy peppers, tomatoes, and eggplant. Occasionally, the West African okra, from the mallow family (Malvaceae), makes an appearance. If you look around in your garden, you may discover other mallow beauties to add some creativity to supper. Culinary uses of rose of Sharon make one wonder why we don’t see them more on the plate. Besides the obvious use as a garnish, the flowers of rose of Sharon can be chopped and added to dishes, or left whole for salads. They make colorful, edible, presentation cups for dips. The leaves are edible when cooked, and can be added to quiche or greens. The leaves and flowers can also be brewed as an antioxidant tea. 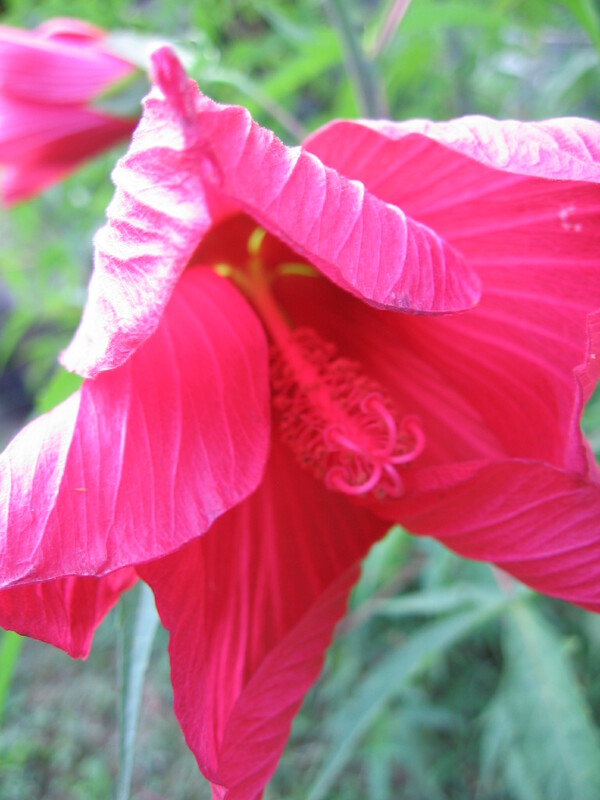 Medicinally, rose of Sharon’s flower buds contain mucilage, a gooey medicinal compound made of polysaccharides which is found in most species of the mallow family; think of okra’s sliminess. Mucilage is healing to burns, wounds, gastric ulcers, and internal and external inflammation and irritation, such as sore throats or urinary tract infections. Current studies on the root bark have found promising results for inhibiting the proliferation of lung cancer. 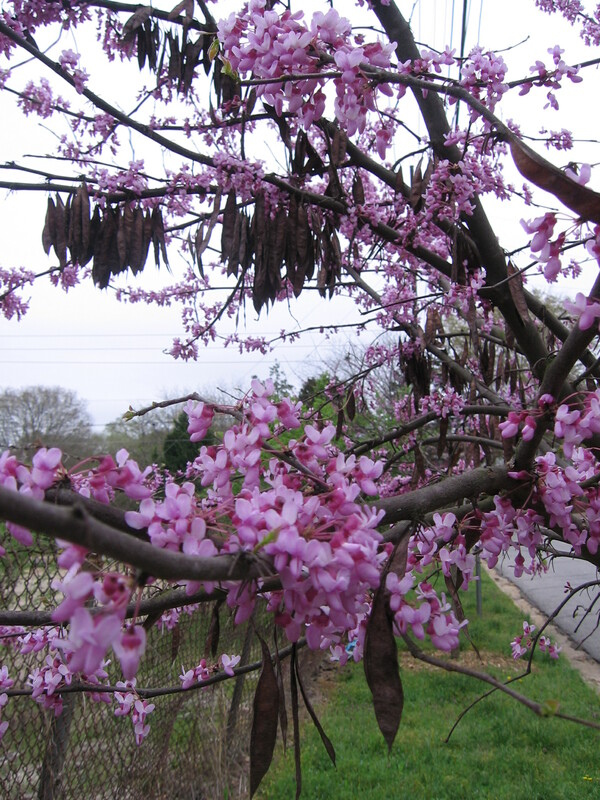 The Chinese use the root bark as an antifungal remedy. Due to rose of Sharon’s long life, prolific seed production and ease of propagation, harvesting the plant is very sustainable. 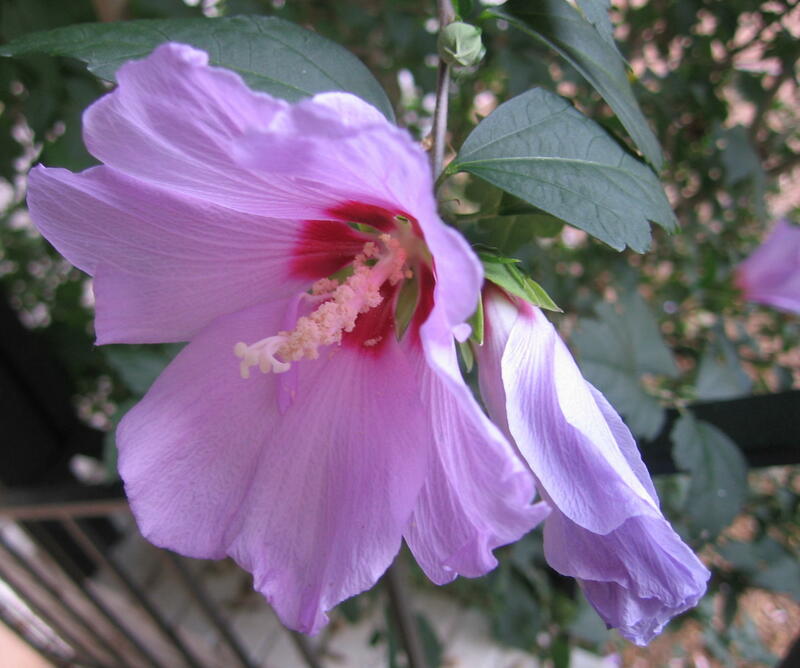 There is nothing harmful known about rose of Sharon, either. Actually, rose of Sharon leaves can be used to indicate harm by serving as an ozone bioindicator, they burn where ozone exposure is harmfully high. A swamp hibiscus unfurling in Crawford, GA.
Additionally, two North American native Hibiscus plants share the culinary uses of rose of Sharon’s flower. Swamp-rose (Hibiscus moscheutos) and swamp hibiscus (H. coccineus), which both display stunning, hummingbird-attracting blooms of red, pink, cream or white, and are commercially available, add a vivid splash of color to teas and salads. The flowers contain antioxidants and can have a soothing effect on the nerves. Though the leaves are edible, they aren’t quite as palatable as the rose of Sharon. Another edible and medicinal plant of the mallow family is the hollyhock (Alcea rosea, or Althaea rosea), the iconic flowering towers of the English cottage-garden. Hollyhock leaves can be cooked like spinach, and its flowers can be added to salads. The demulcent root, high in mucilage, makes a wonderful cough syrup. If you’re starting to get bored with dinners, add a rose of Sharon flower to everyone’s plate, and let the creativity begin. This article originally appeared in the Athens Banner-Herald July 25th.